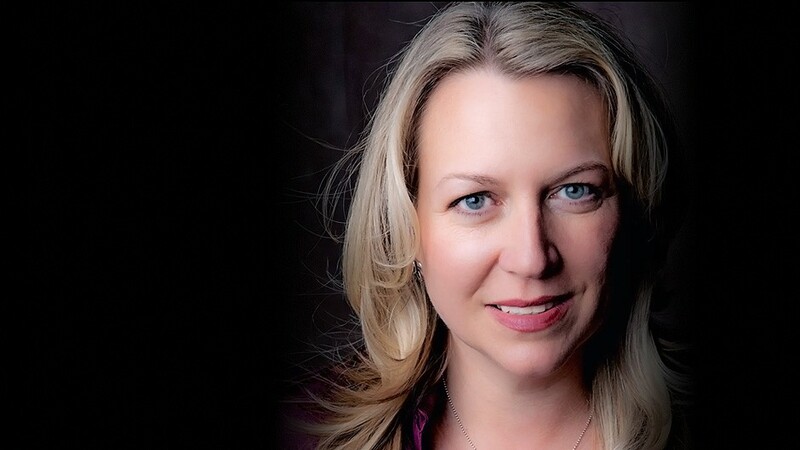 Cheryl Strayed’s 2012 memoir Wild, a story of journeying on the Pacific Crest Trail alone, greatly affected millions of readers worldwide. Last Thursday, the author spoke to a room of more than 1,200 for the YWCA’s annual Women of Achievement luncheon, which raised an unprecedented $285,000 to support victims of domestic violence. INLANDER: When you sit down to write, what does it physically look like? First of all, I don’t sit down to write, I have recently acquired a treadmill desk, so this is breaking news — I don’t think I’ve told a journalist this. I recently bought a treadmill desk; the goal is not to get a workout but that you’re moving. I’ve been walking lately and writing. I do sit down to write also. Really, none of those trappings that Hollywood has represented about writers, I don’t do those. I don’t smoke. I do curse though, I’m famous for that. I really try to find a deep silence, I don’t mean in a literal way, I mean like a silence within the self. Writing takes an enormous amount of concentration and that is exacerbated by the kind of writing. When it’s a deep examination of the human condition, whether that’s my own life or mining my past and experiences and telling the stories or creating the characters and doing that same thing. So that’s hard — it’s hard to achieve that in my life as a mother, I have two kids who are 9 and 11, and also hard being an ambassador for Wild. I write when someone else has my children, when I say to myself “you’ve got to do this.” I love writing, I don’t love anything else quite the way I love writing. But I also resist and dread it and have a lot of anxiety about it. I’ve been writing a bit over the past three years. But 2016 will be a deep return to my work. I have another book coming out this month, but it’s a book of quotations, it’s not that next book. So that’s what I’ll be working on next. I’m going to botch the title. Mira Jacob, she’s a debut novelist, her novel is called the Sleepwalkers Guide to … it’s one of those complicated book titles [Sleepwalkers Guide to Dancing]. It’s really good. I just started reading it. I read a lot of books, obviously; I’m a writer. I’m always asked to blurb books and read books for other people, so it’s kind of fun just to read Mira’s novel. I feel like a rebel just to read it for the fun of it. What is it like to be you? Is there a normal day? There’s become a new normal in my life in the last few years. I’ve had to learn to balance a lot of different things. I have a very ordinary existence of a mom as someone who drops off her kids at school and picks them up, obviously in partnership with my husband who’s a wonderful partner and active dad. All the turmoil of domestic life, how do you keep the place clean and get dinner at the table? All of those things. I’m working in so many directions I have this podcast, I have my writing career, I have my speaking career, which is a surprise career, that came after Wild. I’m doing a couple of other things for television and the stage, which I can’t describe in detail yet. But I have those creative projects in the works, as well. Barely. This is my new thing actually. I’ve been reading so much about how important sleep is and I have this Fitbit that records my sleep. I went back and looked at the records. And, for several months I never averaged more than six hours a night and it’s not enough — I’m exhausted. My days, I wake up and think, what the most important thing is for me today. So whatever calls the loudest is the thing I see to. And of course, the kids are always the most important project. But I’m trying to find more balance and learn the word “no.” I’m too busy. If you could, would you go on the Pacific Crest Trail right now? Of course. I would love to go there right now, run out there right now. It’s certainly the best thing I’ve ever done for myself. It was an experience that gave me a lot and continues to give. Do you still have the scars on your body from your experiences in Wild? I don’t! My calluses healed, my toe nails grew back. Right now, I touched my finger here, because it’s not really a scar but there’s still a mark when I encountered a bull on the trail and scraped all the skin off the top of my finger. Otherwise, I’m fully restored. How is this to continue Dear Sugar, now with the podcast? Do you ever feel like you have no more advice to give? So I stopped doing the column when Tiny Beautiful Things came out three and a half years ago. At the time I was taking a hiatus, but I was asking myself that same thing. My advice is really global and universal. It’s not what you should do in a certain situation, it’s more holistic. Part of the reason I stopped was because I had spoken my piece, it was all the advice I had to give. The podcast is different than a written thing. Those columns are literary crafted essays. The podcast is conversation with Steve Almond. It’s fun, I’m doing it on a lark. I just enjoy it. How do you balance the lovers and the haters, the people who tell you you’re so great they want to make a movie of your life, and then those who don’t have anything nice to say? It’s tremendously hard. My feelings are deeply hurt when people say mean things about me and my ego is wildly inflated when people say good things. So early on I realized I had to construct a metaphorical wall, to take the praise and hate in equal measure. To say “thank you” for the kind things people say, but also realize it’s generally outside of me. What I’ve learned about fame with this experiences, is that people project upon people in the public eye their own struggles and ideas. The answer I’ve found is not to absorb, but to move through the criticism. To keep doing my work and focus on that, outside of those who don’t know me and feel grateful for the things that have happened. Have people noticed any changes in you, your good friends? The only thing different in my life is I don’t have to struggle financially. I was always broke and scrambling and on the edge. Now my husband and I laugh at the stories, but it was serious. When I sold Wild, the phone was ringing off the hook — Visa, Mastercard, we were about to lose the house, we didn’t know where the next meal was coming from. So for me to have the success that did result in financial security, that blows me away. The only thing that’s changed is that I can pay my bills. Another thing: I was always generous with people, but now I can be more generous with money, which is great pleasure. I haven’t changed at all, I just have better shoes. Why stay in the Pacific Northwest, rather than go back to Minnesota or anywhere else in the world? Have you ever spent a winter in Northern Minnesota? (laughing) There are a couple reasons. When I was done hiking the PCT I had 20 cents left and all I had to my name was a student loan bill that I didn’t pay off until I was 44. There I was, I needed to get to Portland. I needed to get a job so I sort of landed there and then I fell in love with it. I needed to leave Minnesota. I’ve gone back many times on my book tours. I have to say it will always be my home, but it’s a painful place. There are a lot of ghosts there, I feel sad when I go there. I like that I have my life in a new place where I don’t have those ghosts. I love Portland, it’s my city now. You’re speaking for this YWCA luncheon honoring women of achievement in our community, but who do you think are the women of achievement in any community? Well, every community has many women of achievement and there are so many ways to define that word “achievement.” Today, I’m going to talk to about my mom, who no one would have recognized as a woman of achievement. She never appeared in the paper except for her own obituary, she was the most ordinary woman in the world who really was an extraordinary person who was a hero. She really loved and raised her children. She did things that were difficult and radically changed our lives. I’m going to speak to those women in the audience who are those using the YWCA services. But it’s important to think about what achievement is. It absolutely is the leaders in the community, the women making things happen, funding the organizations and causes and volunteering at schools. But also the women who we will never know and never see, who make the hard decisions to have a better life for themselves and their children. And that’s the kind of achievement that pays off over generations, that changes our world. I talk to so many different organizations, but I love speaking to those that I feel a part of. As a kid I could have been serviced by the YWCA, and as an adult it’s my honor and pleasure to be supporting that and be a part of this community.